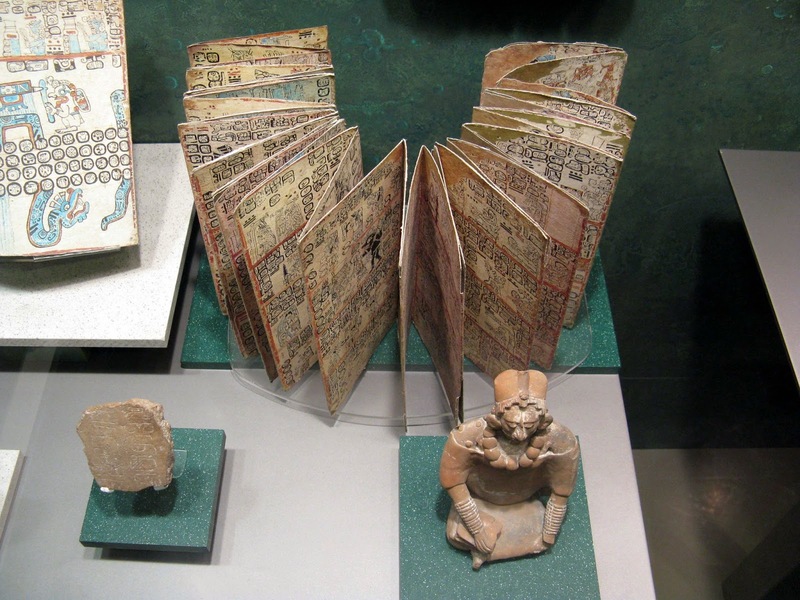 Maya codices are folding books from the Maya civilization, written in Maya hieroglyphic script. The folding books are the products of professional scribes. The Maya developed paper (which they called ‘huun’) around the 5th century, it was more durable and a better writing surface than European papyrus. "We found a large number of books in these characters and, as they contained nothing in which were not to be seen as superstition and lies of the devil, we burned them all, which they (the Maya) regretted to an amazing degree, and which caused them much affliction." 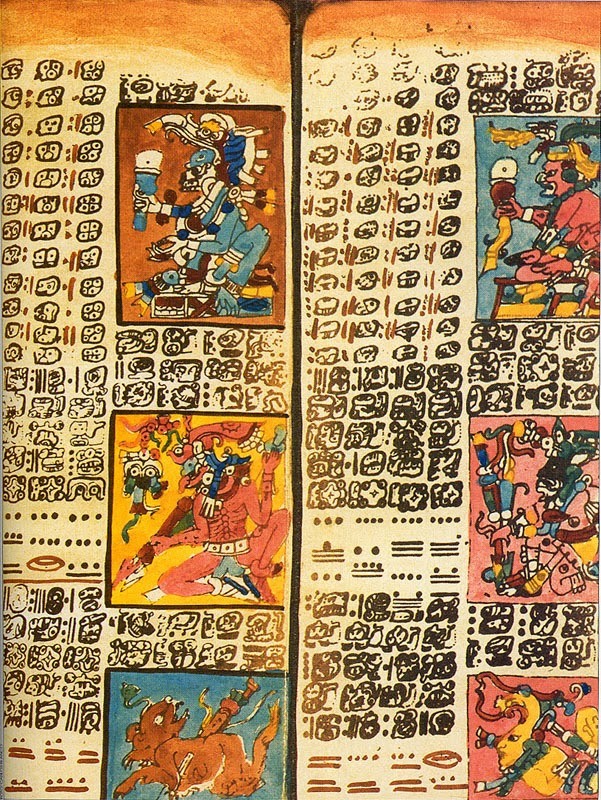 Mayan hieroglyphics in the Dresden Codex. Alonso de Zorita wrote that in 1540 he saw numerous such books in the Guatemalan highlands that “...recorded their history for more than eight hundred years back, and that were interpreted for me by very ancient Indians.” When found, such books were destroyed. The Madrid Codex on display at the Museo de América in Madrid. Due to its fragility a faithful copy is displayed (photo by Michel Wal). I've seen (a copy of) the Madrid Codex during my visit of Madrid. 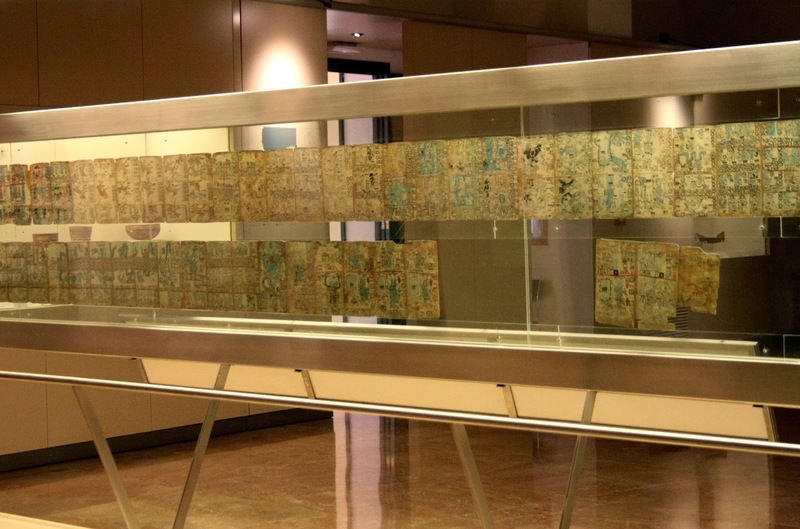 It's the longest of the surviving Maya codices. The content mainly consists of almanacs and horoscopes that were used to help Maya priests in the performance of their ceremonies and divinatory rituals. 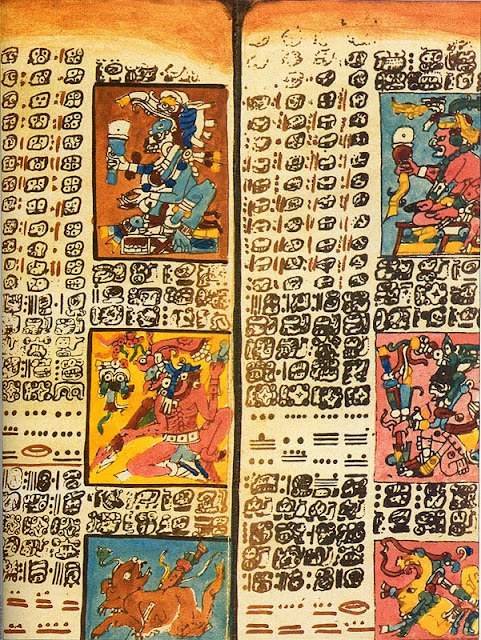 The codex also contains astronomical tables, although less than are found in the other two surviving Maya codices. A close analysis of glyphic elements suggests that a number of scribes were involved in its production, perhaps as many as eight or nine, who produced consecutive sections of the manuscript. It is likely that the codex was produced in western Yucatán between 1250 and 1450 AD. Maya, a disappeared people that are remembered because of Zea mays (corn / maïs / mayze...). The Spaniards sure treated the native peoples ruthlessly and treacherously, although we didn't do well in the United States either. Tragic to think of what knowledge was lost with the destruction of the codices. The deciphering of Mayan script was a long and arduous process. I didn’t even know there was a Museo de América in Madrid. That’s now on my list for my next visit! The Dresden Codex page you show is a wonderful piece of 'art'. A shame about the destructive nature of the conquistadors.